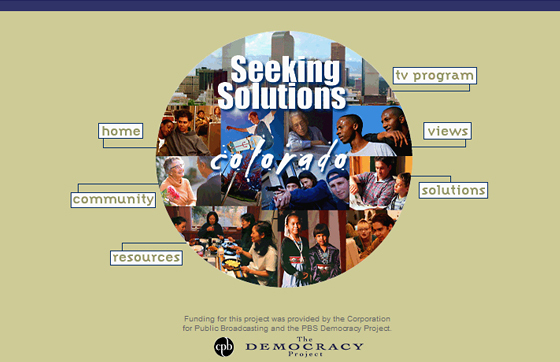 Rocky Mountain PBS joined public television stations around the country in a three-hour prime-time program event, Seeking Solutions funded by the Corporation for Public Broadcasting and the PBS Democracy Project. 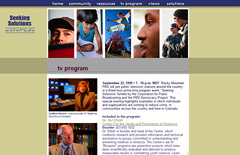 Along with the on-air broadcast, this multimedia event included a website with a streaming broadcast of the television program. 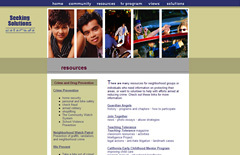 All program components presented examples of how individuals and organizations are working to reduce crime in communities across the country. The TV program included government officials including U.S. Department of Education Secretary Richard Riley, and specialists like Dr. Deborah Prothrow-Stith, teen violence expert, Professor and Associate Dean at the Harvard School of Public Health. Meanwhile, the website provided a vehicle through which the community could speak up prior to, during and after the television broadcast. 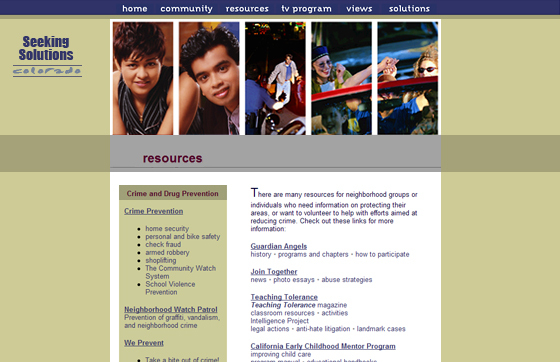 The Seeking Solutions website hosted a bulletin board, surveys and email forms, making it easy and convenient to respond. Viewer comments and poll results were posted on the website and used in the broadcast. 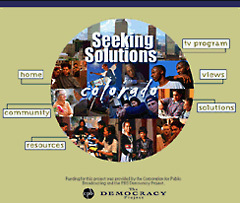 with funding provided by the Corporation of Public Broadcasting and the PBS Democracy Project.